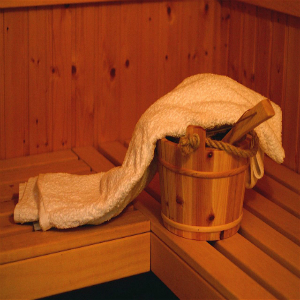 What You Need to Know About Saunas! We know that green juices, green powders, lemon water, and exercise can all help the body to naturally detoxify. But do you know of the benefits of Infrared Saunas (IR)?! These saunas differ from traditional saunas which simply heat the body from the outside in – by warming the air first. IR saunas work by using infrared waves to heat the bodies core temperature first – working from the inside-out. IR saunas help your body release a number of toxins, including heavy metals like mercury and lead, and environmental chemicals. far-infrared waves are used primarily for detoxification and are the levels most commonly used for IR saunas. I have been actively using far-infrared (FIR) saunas to facilitate my recovery and rid the toxins built up with conventional cancer treatment. Assisting my body to heal is something I take really seriously and make a priority. At my most recent visit to the Oncologist, my consultant told me that my kidney and liver function were “superb”! I was really pleased, as the toxicity of chemotherapy is something that has always concerned me. All that time and sweat (literally) I put in is paying off ???? So, below I have listed my top 5 benefits of using FIR saunas to naturally assist your body to rid toxins – that inevitably build up due to the foods we eat and the environment we live in. 1. Detoxification – As sweating is one of the body’s most natural and basic ways to eliminate toxins, it’s a crucial part of detoxification as toxins are flushed out of the body. Compared to traditional Swedish saunas, infrared saunas allow you to remove about seven times more toxins. 2. Relaxation – IF sauna therapy promotes relaxation by helping the body balance cortisol levels. The heat generated also helps to relax muscles and relieve tension. 3. Pain Relief – If you suffer from muscle/joint pain, IF saunas can relieve this form of inflammation by increasing circulation. And by reducing inflammation, the IR sauna is able to assist with a huge range of health complaints. 4. Weight Loss – The heat generated by an IF sauna will cause your core temperature to increase, which can also lead to an increased heart rate — the same increase in heart rate that you experience when exercising. When your body has to work harder to lower your core temperature or keep up with an increased heart rate, your body will burn more calories. The result is weight loss. A study in the Journal of the American Medical Association concluded that a 30-minute IF sauna session could burn roughly 600 calories. Right! I’m getting in to mine this evening! 5. Skin Cleansing – IR sauna technology can help purify your skin by eliminating toxins from your pores and increasing circulation, resulting in clearer, softer, and younger-looking skin. The list of benefits far exceeds the 5 I have listed here. With more research being carried out, the use of FIR saunas is now being cited as a tool to help in preventing and assisting the recovery of cancer. Find out more about the difference between conventional saunas and FIR saunas from Mark @ Getfitt. Mark really knows his stuff!